Since the founding of the company ZÖLLNER, sound signal systems for vessels have been an essential pillar for the firm. All devices – ZÖLLNER ZET-Horn, ZÖLLNER Makrofon, ZÖLLNER ZETFON and accessories – are built with the newest technical standards and are approved in accordance with the international regulations of SOLAS, COLREG 1972 and EU norms. 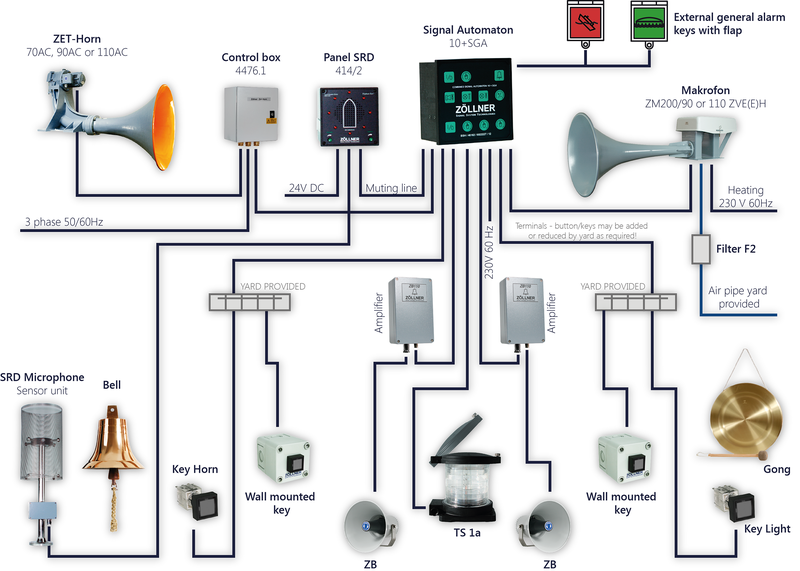 All listed devices– ZET-Horn, Makrofon, ZETFON and accessories – are designed for installation on seagoing and inland vessels and also find wide application as warning and alarm devices in industry and harbour areas, for catastrophe alert as well as on offshore platforms.